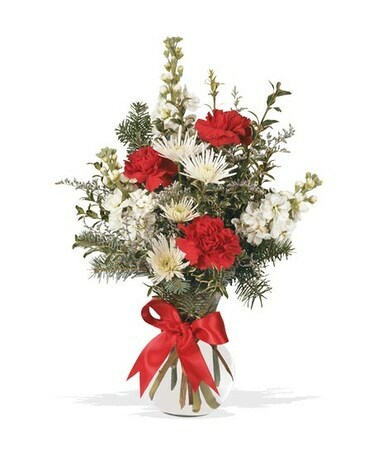 Make their Christmas merry and bright with this cheerful arrangement of red, and white flowers. So much joy for such a reasonable price tag. A great gift for just about anyone.